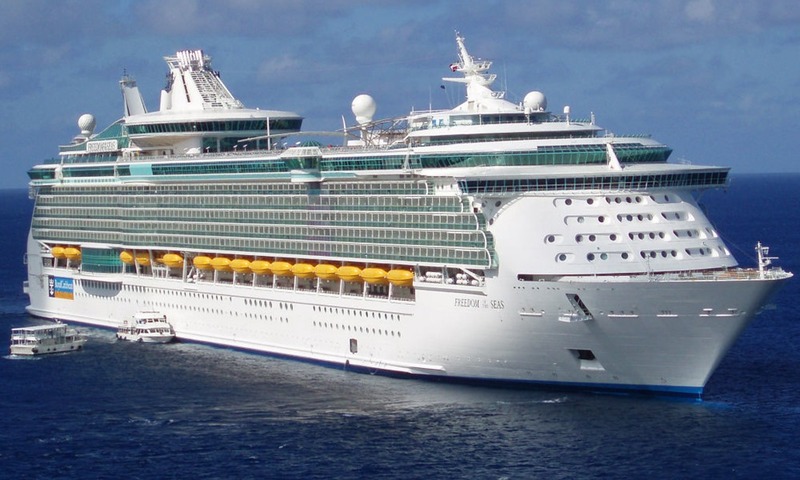 Cruise ships are considered to be true floating cities today, since they are very well equipped to be able to transport millions of tourists from one port to another, and at the same time providing sightseeing of the world’s most beautiful destinations during the ride. These giants of the sea, as some may call them, are growing with each year, when in some cases they are big enough to contain proper residential neighborhoods, while providing all comforts. 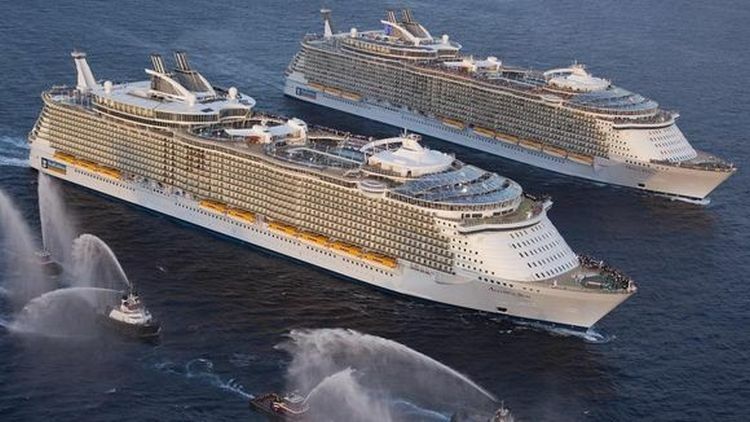 You probably wonder the size of the biggest cruise ships and we made a list of 10 biggest in the world so far. Let the countdown begin! 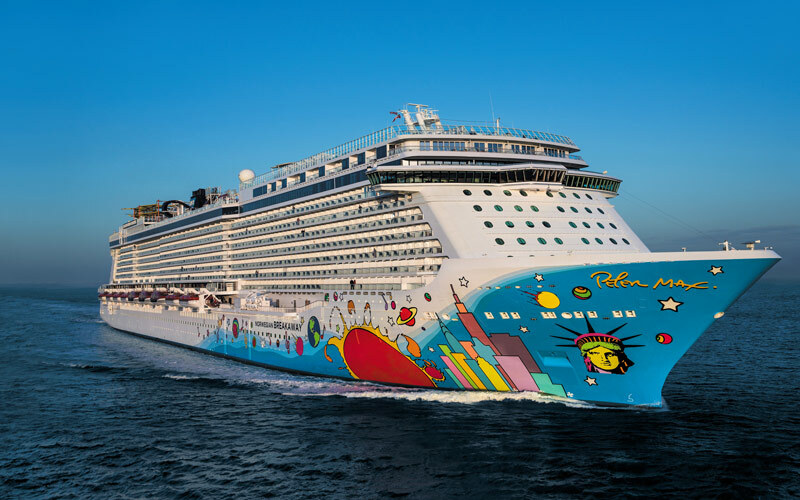 Norwegian Breakaway is ranking 10th on this list. 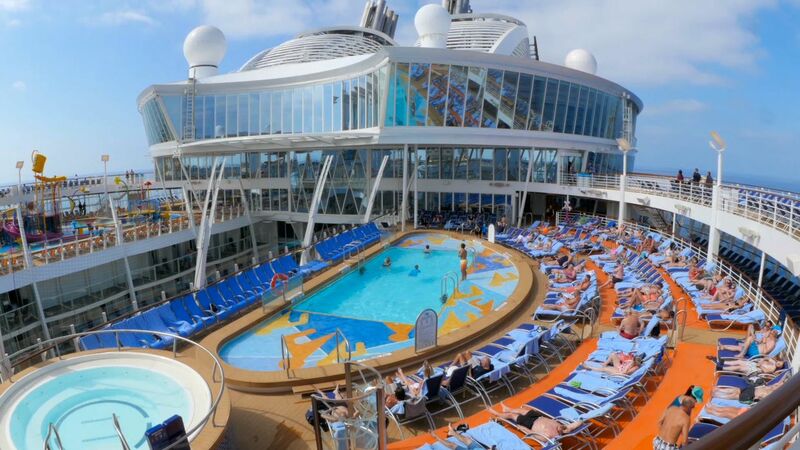 Cruise Critic chosen this cruise ship for “Best new cruise ship”, and it can take you to the Caribbean or to the tropics. 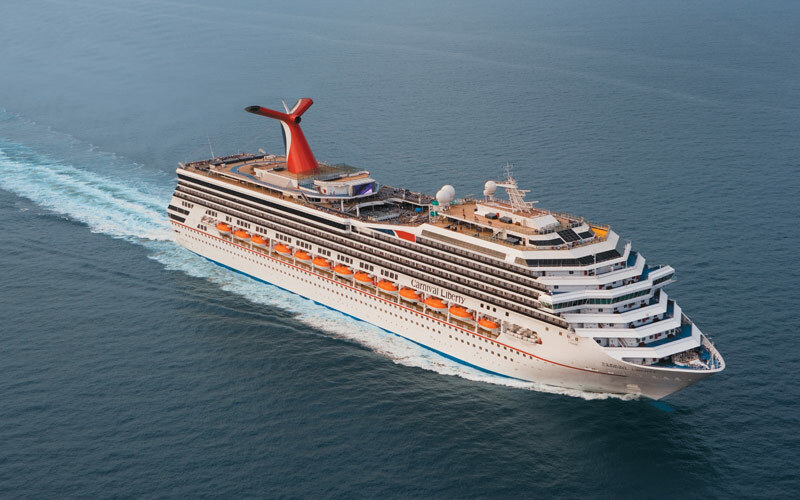 This ship has the quarter-mile oceanfront promenade with seaside restaurants, bars and amazing panoramic views. It also has 25 restaurants total, including 3 new venues of fish and seafood. One of the best things is that it can make you feel like you are at Broadway while cruising, since it has 3 shows from Broadway which are Rock of Ages, Burn the Floor and Cirque Dreams & Dinner Jungle Fantasy. 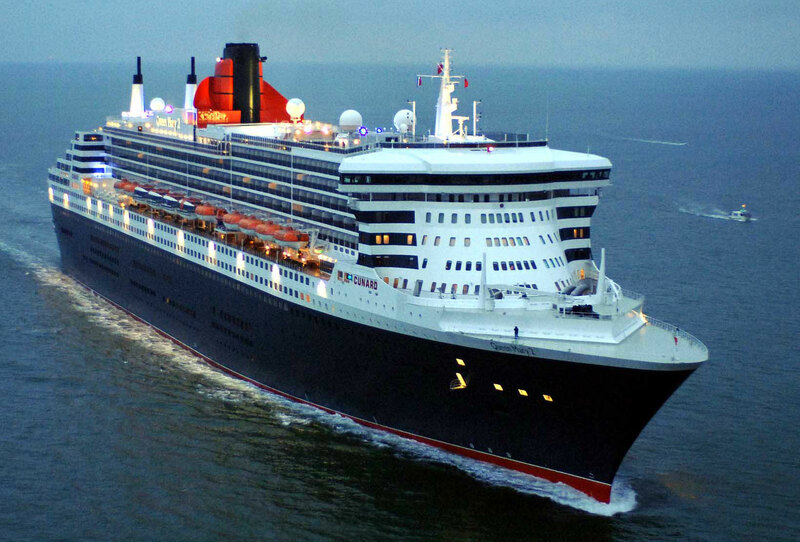 9th place belongs to Queen Mary 2. 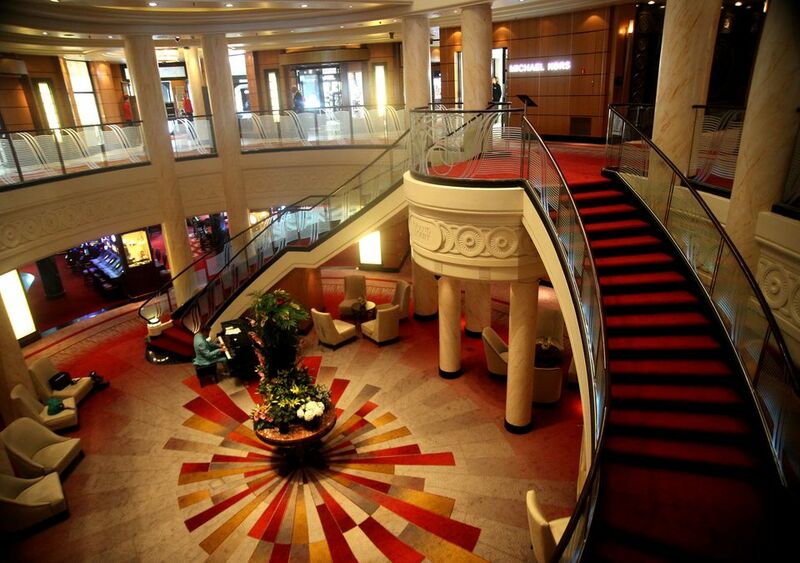 It is one of the cruise ships whose interior is for admiration. 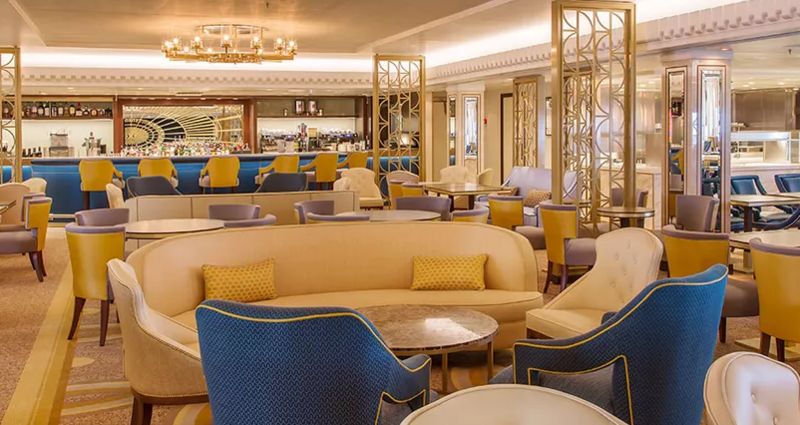 It has luxurious decorations and really elegant and refined details with a 20th century atmosphere which are contributing its charm.Queen Mary 2 is 345 meters long and weights 148.528 tones. It has casino, planetarium, tennis court, golf simulator, everything! 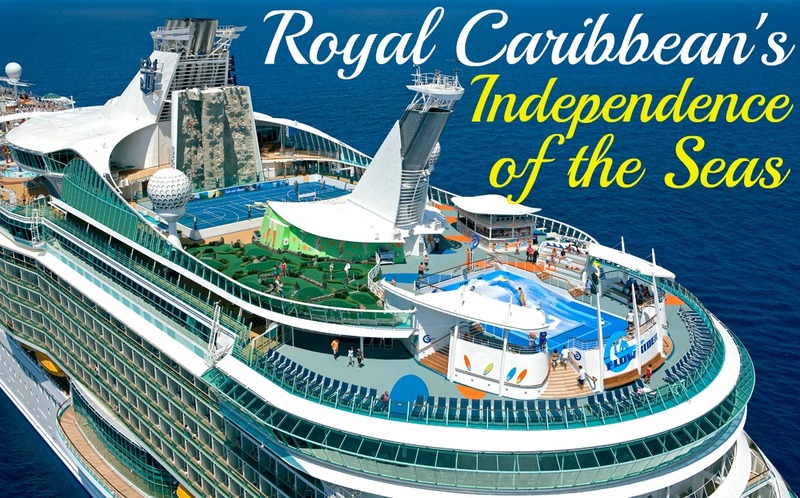 These three places are reserved for three joint winners which are triplets cruise ships of Royal Caribbean and those are: Independence f the Seas, Liberty of the Seas and Freedom of the Seas. All three of them are 339 meters long and have weight of 154 tones. And 3,634 is the number of passengers they can host each. Let us tell you what Independence can give you. Surf simulator, Mini golf field, Solarium inspired by a tropical jungle, Adventure Ocean program for the children and teenagers, the Day Spa and Fitness Centre, Las Vegas style evening shows, the Casino Royale, the ice-skating ring… Are you impressed? Well, that is not all. This cruise ship can really satisfy any needs with its variety. Liberty has many different sports offers, such as ice-skating ring, rock wall, basketball and volleyball fields and gold and mini gold fields. 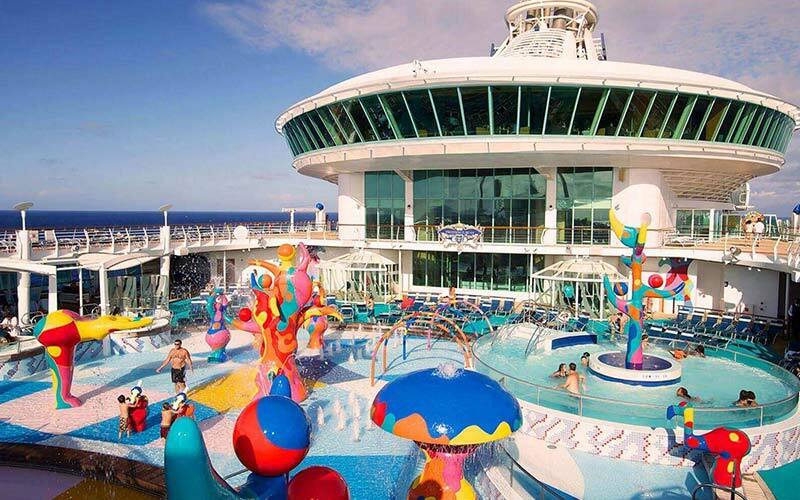 What is amazing about this ship is that it has big water park for children called Splash away Bay, and also a water slide. These two are some of the new features of the ship. Food is great and you can find so many different cuisines: Mexican, Italian, Asian, American and so on. 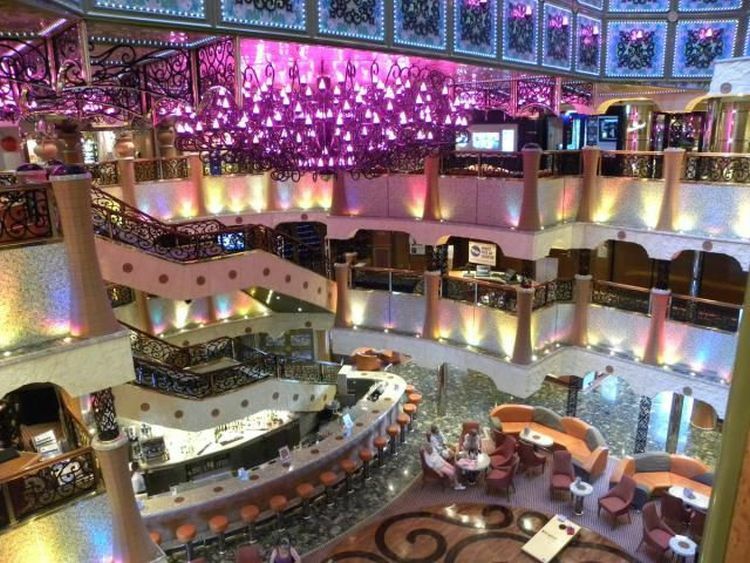 Also, ship is equipped with many bars and lounges. Last of the triplets is Freedom of the Seas. Just like previous two, Freedom took care of its sport and adventure lovers among the passengers. For those in need for relax time, Freedom has prepared the hot bathtubs hung at 37 meters over the sea level and luxurious Spa. Children are not forgotten here because there is the Dream Work Experience with characters like Shrek, Fiona and Kung Fu Panda. 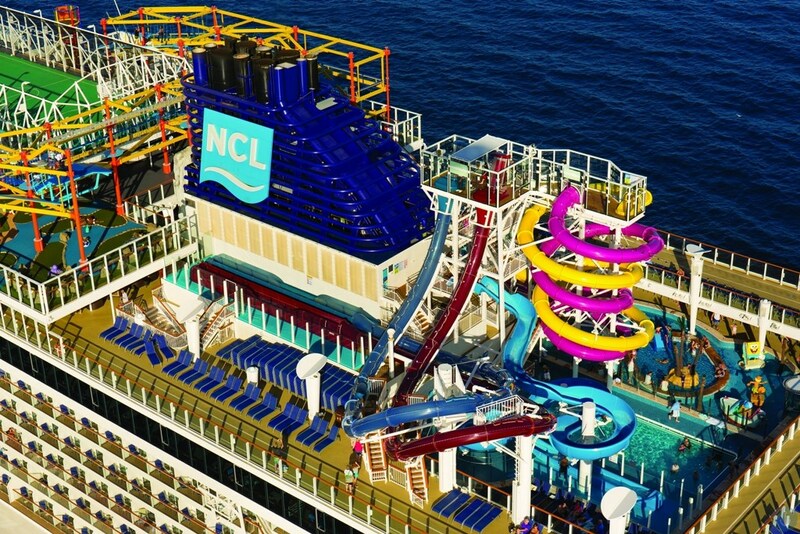 Norwegian Epic is on our list under 5th position and it weights 155 tones and is 329 meters long. It can take 4,100 passengers. Norwegian Cruise Line NCL is the owner of this massive cruise ship. Style of the ship can be described as elegant and informal. Like previous ships it has a lot to offer. 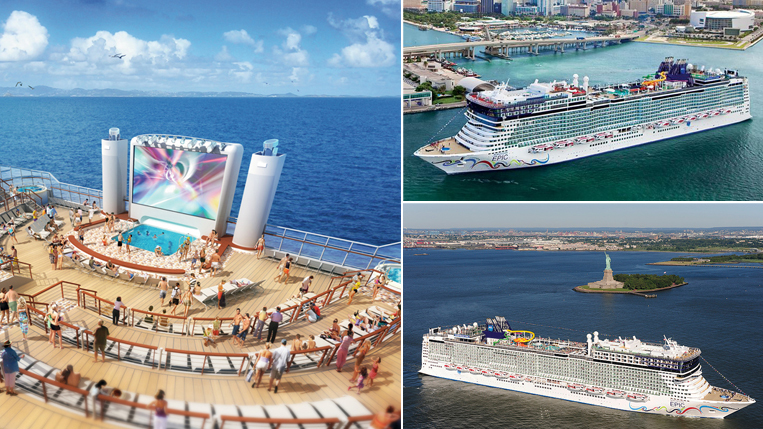 Sport center, Water Park, a bowling center, a rock wall, a fitness center and wellness center, 14 restaurants, private clubs, the Ice Bar and the White hot Party by NCL , are just some of the things Norwegian Epic has to offer. It has much, but still here are two main tips about this ship: it might not be the good choice if you are traveling with a child under 4 years old, and extra drinks on board are pretty expensive. 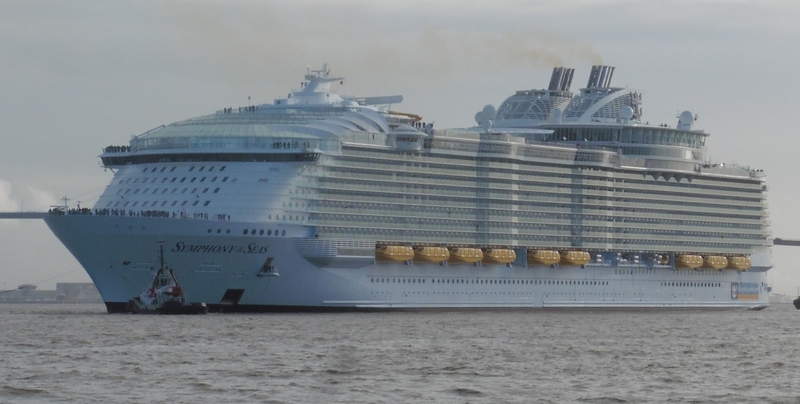 With weight of 167,800 tones and being 348 meters long, Quantum of the Seas deserved 4th position on our list. 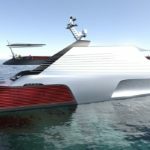 This cruise ship will give you unforgettable experience with its innovation, design and a combination of unconventional areas and on board activities. The RipCord skydiving simulator and the amazing 360 degree panoramic view are one of the recommendations if you have chosen this cruise ship. 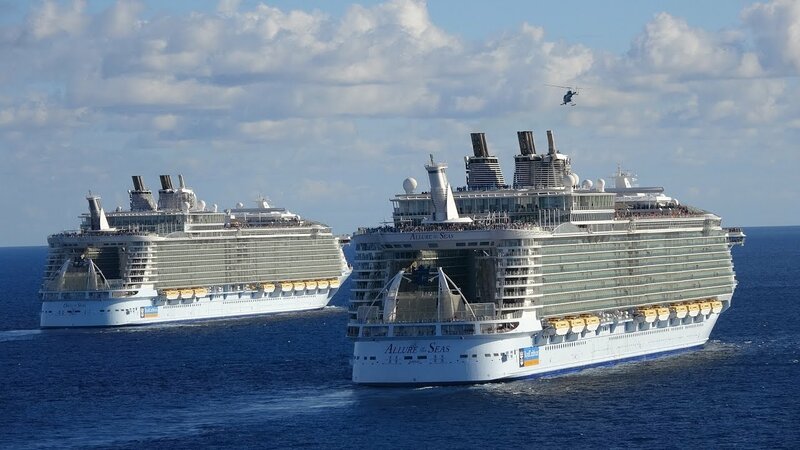 3th position is for the twin ships: Oasis of the Seas and Allure of the Seas. 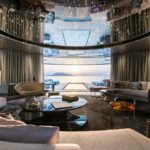 Both are 362 meters long, 72 meters high and have 2,700 cabins that can host up to 5,404 and 5,402 passengers respectively. Twins have so much to offer, that is impossible for you to be bored if traveling with these cruise ships. Here you can even go shopping, or stroll down the Royal Promenade drinking a Starbucks coffee, just like inside the proper residential neighborhoods. Among sports activities, swimming pools and other, these ships have a fascinating handmade carousel, next to the many games and entertainment for children. Twins thought of relax time too, so there are relax room, bars and restaurants of all kinds. 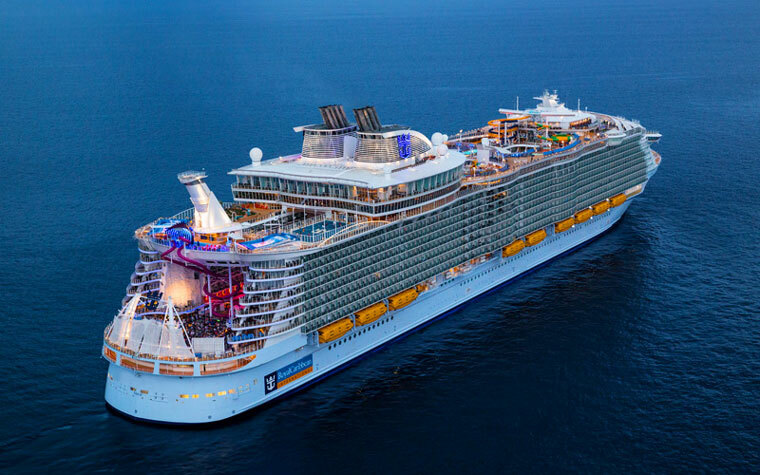 2nd position goes to Harmony of the Seas and not because it is longer or heavier comparing to the twins, but because it has a bigger capacity of the passengers with number of 5,479 people. And just until recently it was on the 1st position. 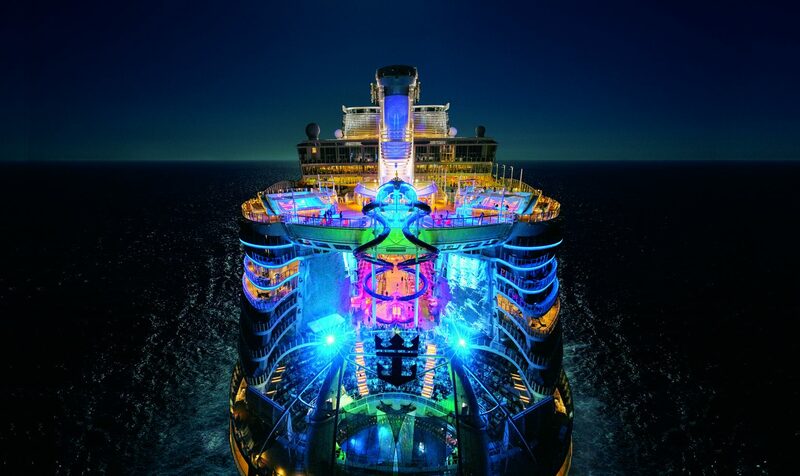 It was built in 2016, and it has attractions never seen before, such as 7 neighborhoods on board, 3 multi-level slides, 25 different restaurants and bars, and the biggest Spa on a board of a cruise ship. What is more fascinating, it has a real park called the Central Park, with 10,587 plants. And if that didn’t amaze you, let us tell you more: it has 11,252 artworks and the Bionic Bar, the first bar served entirely by barman-robots. 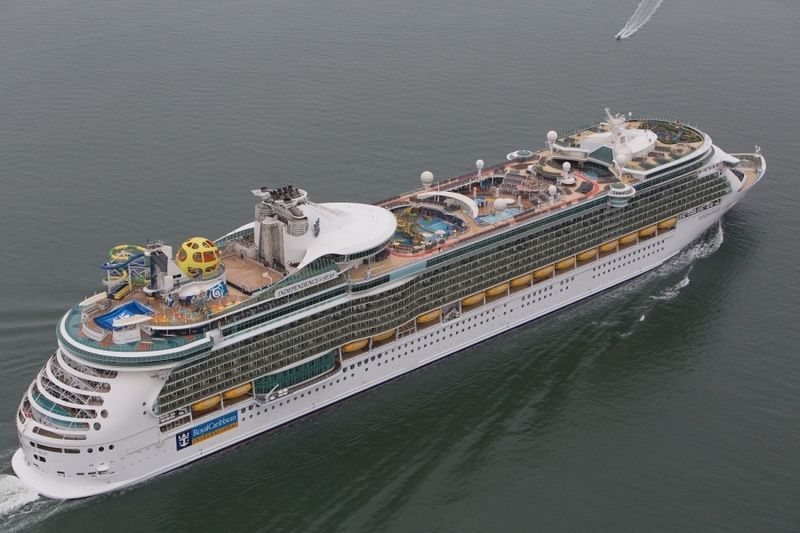 This cruise ship deserves article just for itself. If Harmony of the Seas seemed like perfection to you, look who we got ranked as number 1. It is Symphony of the Seas and let us explain you why and how it left Harmony behind. Symphony has 18 decks, capacity for 6,780 passengers and 2,100 members of the crew, which all together make it the biggest cruise ship in the world. Symphony was presented for the summer season 2018, by the Royal Caribbean. 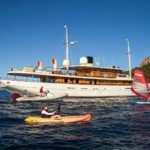 This year, it sailed the Mediterranean, including the Port of Civitavecchia, and it has all of the famous attractions of class Quantum, like the Zip Lane, mini golf, surf-simulator, Flow Rider, the Rock Climbing walls and many more. 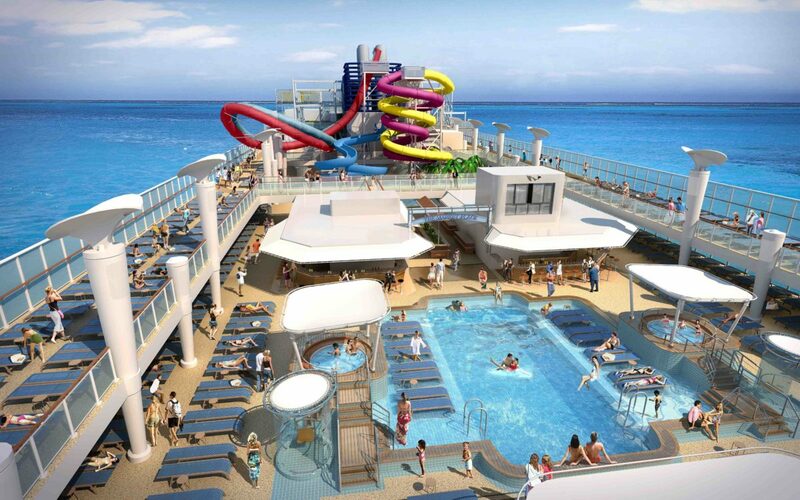 This cruise ship has the largest slide on the stern ever made aboard a cruise ship, and it is called Ultimate Abyss. Emotions and unforgettable chills are what it will give you. 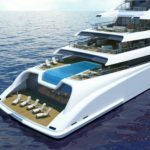 Another thing that currently the biggest ever built on a board, on Symphony, is a vessel. It has the Vitality spa, which is one of the wellness areas on the ship. But that is not all! Voom technology, the fastest internet connection available in the sea, will be the one to thank to when posting selfies on Facebook and Instagram. Just like 2nd ranked, Symphony deserves article just for itself. Next year we will see if the classification remains the same, or if Royal Caribbean has something new and better to offer. Next → Next post: Is the GTA’s Most Expensive Yacht actually the Best?